We’ve never done things in half measures. Just ask any of our three ex-wives. So when it came to cancer, we didn’t have just one variety. No, we had two [previously]. In addition to the prostate adenoma that’s almost inevitable for the aging male, I also had a much more pernicious Stage IV “high grade metastatic micropapillary urothelial carcinoma” of the bladder, which had pierced through the muscle begun infiltrating into the lymphatic system, the fast track to metastasis in other organs. The prognosis wasn’t good. Even with surgery and chemo, sources we consulted at the time listed survival odds after five years at about one in five, although numbers I found today raised that overall number to 58 percent. After I lost our bladder and prostate to the surgeon’s knife on the morning of 20 November 2012, then started a four-month-long regime of chemotherapy on 8 January 2013. Chemo was, in short, miserable. There was the nausea, and to counter it, drugs that caused constipation so bad that two emergency room trip were required. We were spared further visits after our oncologist, since retired, provided authorization for medical marijuana. But after all the initial agony, we discovered problems we hadn’t be warned about beforehand, resulting from the damage done to our nervous system by the same poisons that had killed off the cancer cells. One form of damage was well known, neuropathy. We discovered it when our feet would never fully “wake up,” but instead remained constantly atingle. That might sound like a minor problem, but consider that constant and delicate feedback from the nerves in your feet is what, along with signals from your inner ear, allows you to keep balance when standing, walking, climbing. . .you get the idea. What we also discovered was that we’d lost about a third of our hearing, a loss compounded by sometimes shrieking levels of tinnitus, otherwise known as ringing in the ears. When we mentioned it to our oncologist we got a dismissive response, and a suggestion that it was simply a product of being tired. Three years later it’s no better. We can’t watch television or DVDs without subtitles, and conversations are often intolerable because we miss half or more of the words unless the speaker is possessed of a speaking range that fits within the narrow range of frequencies to survive the damage. But the hardest part was the dismissive attitude of our physicians. Well, now we have hard evidence, involving cisplatin, the most painful of the drugs in our chemo regimen. And whilst the patients involved in the study were treated for a different breed of answer than those afflicting us, the key result unquestionably applies. Many testicular cancer survivors experience hearing loss after cisplatin-based chemotherapy, according to researchers at Indiana University. The researchers, led by Lois B. Travis, M.D., Sc.D., the Lawrence H. Einhorn Professor of Cancer Research at the IU School of Medicine and a researcher at the Indiana University Melvin and Bren Simon Cancer Center, studied for the first time the cumulative effects of cisplatin-based chemotherapy on hearing levels in testicular cancer survivors through comprehensive audiometry measurements. They found that increasing doses of cisplatin were associated with increased hearing loss at most of the tested frequencies, involving 4, 6, 8, 10, and 12 kHz. The research was published online June 27 in the Journal of Clinical Oncology. “In addition to hearing loss, about 40 percent of patients also experienced tinnitus (ringing-in-the-ears), which was significantly correlated with reduced hearing,” Dr. Travis, also director of the cancer center’s Survivorship Research Program, said. Although this study was conducted in patients with testicular cancer, the authors point out that the general conclusions are likely applicable to patients with other types of adult-onset cancers that are commonly treated with cisplatin. They indicate that it will be important to follow patients given cisplatin-based chemotherapy long-term to better understand the extent to which the natural aging process may further add to hearing deficits, as it does in the general population. What’s the number one risk for suicide for adult males? There’s one condition that poses a greater risk than all those human tragedies, a risk greater even than that posed by a current chronic pain condition. And that risk is one with which we’re on intimate terms: Arthritis, a condition which has afflicted us for four decades. One in every 26 men with arthritis have attempted suicide compared to one in 50 men without arthritis. Women with arthritis also had a higher prevalence of lifetime suicide attempts than women without arthritis (5.3% vs 3.2%), according to a recent study from the University of Toronto. The study found that those with arthritis still had 46% higher odds of suicide attempts than those without arthritis even when adjustments were made for important factors such as age, income, chronic pain, and a history of mental health disorders. “When we focused on adults with arthritis, we found that those who had experienced chronic parental domestic violence or sexual abuse during their childhood, had more than three times the odds of suicide attempts compared to adults with arthritis who had not experienced these childhood adversities. The magnitude of these associations with suicide attempts was comparable to that associated with depression, the most well-known risk factor for suicide attempts,” said lead author Esme Fuller-Thomson, Sandra Rotman Endowed Chair at University of Toronto’s Factor-Inwentash Faculty of Social Work & Institute for Life Course & Aging. The paper was published online this week in the journal Rheumatology International [$39.95 to read just the one artcile, thanks to those philanthropic folks at Springer — esnl]. Investigators examined factors associated with ever having attempted suicide in a nationally representative sample of 4,885 Canadians with arthritis and 16,859 adults without arthritis. The data was drawn from the 2012 Canadian Community Health Survey-Mental Health. Researcher’s note that the findings need to be confirmed by others using prospective data before any public health recommendations can be made. However, if confirmed, they may have significant clinical implications for professionals working with those with arthritis, particularly with patients who have experienced childhood adversities, and a history of mental illness and substance abuse. Our our arthritic condition is the rheumatoid variety [RA in medical shorthand], an autoimmune addiction rather than osteoarthritis, kind of inflammation causes by the the wear-and-tear of life. Since we can’t access the study, we don’t know whether the authors differentiated between the varieties of arthritis, with RA requiring, in addition to anti-inflammatories and painkillers powerful, immunosuppressant medications — including some used in cancer chemotherapy and known to adversely affect cognitive functions [previously]. Chemo brain. . .two little words for something so profound. But before we get to the latest medical finding about chemo’s cerebral ravages, some personal context. Going through chemotherapy following surgery for an aggressive bladder cancer [plus more malignancy in the ol’ prostate] was a frightening experience on a body now equipped with bag on the belly to catch the urine from a section clipped from the small intestine voiding through an abdominal opening. You lay therein a reclining chair, sometimes for the better part of a morning or afternoon, as a toxic chemical stew trickled into a burning vein. The same chemicals toxic to the cancer also proved toxic to nerve cells, both in feet benumbed and tingling from neuropathy and in ears increasingly deafened and simultaneously clangorous with tinnitus. But chemo also damages the hipocampus, part of the brain critical in memory formation [among other things], leading to the taxing effort needed to impress and recall events of daily life. . .in other words, chemo brain. For fifteen years before the cancer diagnosis, surgery, and chemo, we had taken a mild weekly dose of another cancer chemo drug to keep in check a disease that tuned our immune system into an inflammatory machine consuming the cartilage between the joints of hands, wrists, and elbows. Methotrexate was the major component of a five-drug cocktail drug we consumed, losing it from the mix a few years ago. When it came time for the post-surgery chemo regime, the cancer panel at Kaiser considered the biopsy and our general medical profile and settled on two possible chemo regimes. Because the principal drug in one of the alternatives was methotrexate, I figured that since the cancer developed when methotrexate was present, the drug might conceivably have led to selection of cell lines more resistant to the drug. Our oncologist allowed as he could say for certain that I was wrong. And that brings us to a new chemo brain finding, one in which methotrexate is both a blessing and a culprit. Research from St. Jude Children’s Research Hospital suggests that pediatric leukemia patients exposed to higher concentrations of the chemotherapy drug methotrexate are more likely to struggle with mental flexibility, organization and related skills as long-term survivors. The findings appear online in an early release article in the Journal of Clinical Oncology [subscription required]. Investigators also reported that brain imaging showed that higher blood levels of methotrexate during treatment for acute lymphoblastic leukemia (ALL) were associated with anatomical and functional changes in regions of the brain involved with mental flexibility, planning, reasoning and other skills related to executive functioning. Brain imaging documented several changes, including increased activity in the frontal lobe region. The finding suggests survivors’ brains may be working harder to compensate for impaired cognitive functioning. “With five-year survival rates for pediatric ALL approaching 95 percent, researchers are focused on better understanding and reducing the neurotoxicity patients still experience during and sometimes long after treatment,” said first and corresponding author Kevin Krull, Ph.D., a member of the St. Jude Department of Epidemiology and Cancer Control. “It remains a relatively common problem even in the contemporary treatment era of chemotherapy only. “This study is the first to show a clear dose-response effect between methotrexate concentrations in the blood during treatment and executive functioning in survivors. This information is essential for designing effective intervention to address the risk,” he said. As we’ve noted before, one of the consequences of the chemotherapy that followed the removal of a malignant bladder and prostate was damage to the nervous system, one of those things not sufficiently emphasized before the chemo. We can understand why: Oncologists and surgeons are eager to save their patients, and an emphasis on the negative impacts of chemo might deter some patients from undertaking therapies that, all things considered, still allow their patients to experience long and fruitful post-therapy lives. That said, one of the most vexing outcomes of our own treatment was a significant loss of hearing. Some loss of hearing is inevitable by the time you reach the latter half of your seventh decade, even more so when you’ve done a fair amount of target shooting in your youth, listened to a lot of loud Rock and Classical music, indulged in a couple of decades of cigarette smoking, and swallowed a variety of anti-inflammatory drugs to treat chronic rheumatoid arthritis. But before the chemo, all we needed to make out the dialog of network television and DVDs was a slight increase in volume. But the chemo changed all that. And then we discovered something remarkable. While DVD captions were generally accurate and clearly displayed, for both television programs and films on cable and broadcast television, captions were generally incomplete, often misspelled, and frequently inaccurate. All too often, the result is large gaps in dialogue, often rendering scenes all but incomprehensible. We have to wonder why. Given that scripted shows are, by definition, scripted, why don’t networks simply use the scripts, which are always produced by computers these days, to simply feed in the dialogue, rather than use real-time transcription services? Given that using scripts would not only require less labor and provide much greater accuracy for hearing-impaired viewers, we think that’s a damn good question. Consider the following as a partial explanation for our long blogging silence. . . 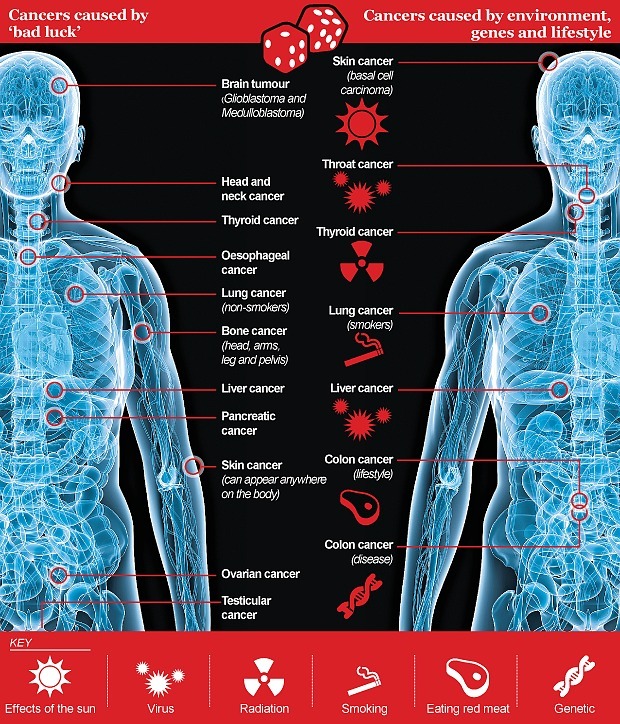 Films, television dramas, and news features frequently deal with the sometimes-nasty immediate impact of poisoning the body in hopes that the toxins will be taken up by cancer cells, which typically multiply faster than the healthy cells of their host organs. And, by and large, chemo has done a notable job of boosting the life expectancies of those afflicted with one of the host of ailments going by the common name of cancer. We didn’t have just one form of cancer. No, we had two. After I lost our bladder and prostate to the surgeon’s knife on the morning of 20 November 2012, then started a four-month-long regime of chemotherapy on 8 January. I lost about half my hair, and what was left turned white. We were pleasantly surprised when most of it grew back, with no more gray in it than before the chemo. But there were other consequences, some more serious. First, I lost a lot of feeling in my feet, a consequence of the neuropathy that comes when toxic chemicals used in chemo attack healthy tissue [nerves]. While daily doses of gabapentin have helped, we have to deal with a constant tingling sensation in the feet, as though they had “gone asleep” and were tingling as they slowly came awake. Without full sensation in the soles of the feet, balance is impaired. Second, I lost about half our hearing range, and am now forced to rely on subtitles in the TV and DVDs we watch. Hearing aids are so expensive as to be out of the question. As a result, I haven’t been in a movie theater or a public in three years or so. A few folks speak within the range of frequencies remaining, but not many, so I am forced either to ask people to talk louder and repeat themselves, or simply hear nothing at all. But what’s far worse is “chemo brain,” problems with another set of nerves, those in the brain so crucial to memory, both its formation and in its role in recalling past events [autobiographical as opposed to procedural memory]. Once dismissed as folk mythology, studies have proven that a significant number of chemotherapy patients sustain long-term damage to memory formation and recall, as well as a significant rise in lingering depression [though, let’s face it, getting cancer is depressing]. One could argue that memory loss is to be expected in a 69-year-old male, but the nature of the loss and the accompanying ennui and depression leave me convinced that chemo is the primary culprit. One drug that does show promise for a post-chemo brain rewiring, but it’s currently illegal. The chemical in question is psilocybin, the primary active ingredient in shrooms, or magic mushrooms. 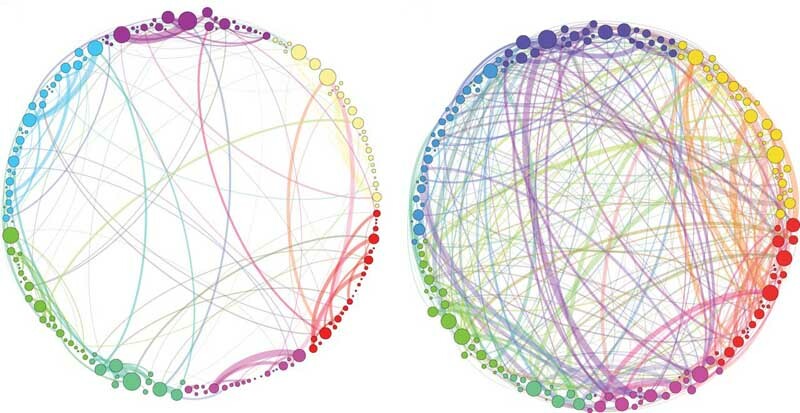 A study published by Britain’s Royal Society has show psilocybin to increase the density and range of inter-brain connections to an unprecedented degree. Sadly, we’ve no access to the compound, which the federal government classifies as more dangerous that crystal meth and on a par with heroin. This time, it’s a story about cancer and ‘shrooms, those wonderful little mushrooms from which we derive psilocybin, a drug that opens the doors of perception with a gentleness and thoroughness radically different from the harsher effects of LSD [at least from our own considerable experience back in the Sixties, and a few times since]. And we’ve had our own battle with a very serious form of cancer [and one not quite so serious as well]. Sadly, we were devoid of access to the mushrooms where we fought out battles prostate and bladder cancers, and this video will make clear why we regret that lack of access. Eddie Marritz, a cinematographer and photographer in remission from small-cell carcinoma, was a participant in one of N.Y.U.’s Psilocybin Cancer Anxiety research studies. Marritz, and the researchers, take us through the experience. Two stories from today’s London Telegraph caught our eye, mostly because they are of such imminent and eminent personal import. They deal with something we’ve experienced firsthand, and in two forms: Cancer. Just over two years ago we lost bladder and prostate to the Big C, followed by a course of chemo that is still very much with us in the form of diminished hearing and loss of sensation in feet and, to a lesser extent, hands. Dad had two types of cancer as well, starting with a tumor in a kidney in his early 60s that led to surgery. He survived that one, but it was the prostate that eventually got him, leading to death in his sleep under hospice care just weeks before his 91st birthday. Mom was left fortunate, with a glioma diagnosed after she suffered an unaccountable collapse at home. They tried laser surgery, but the tumor was deep in her brain and dense with blood vessels. After a couple of laser zaps, the blood flood was so great they simply sewed her up. Her last weeks were spent in a strange time slip. As one moment she was a child on a Nebraska farm, looking for her beloved cat, Jimmy Meadowmouse, then shifting abruptly to a child, eager for a trip to St. Louis, then again to her days as a school teacher in Bennington, Kansas. It was a sad plight for a woman so intellectually vigorous and present-oriented. Death, when it came for her, was truly a release. For Dad, the first surgery was a life-saver, enabling him to live a vigorous life [he was still keeping house, going on long fishing trips, and mowing his yard before his last illness]. For Mom, surgery was a savage mutilation, shredding her dignity and leaving her bereft of the dignity that meant so much to her. And for ourselves, surgery was a mixed blessing, removing the imminent threat of a virulently metastatic bladder cancer, but appreciably diminishing our hearing and sense of balance [a consequence of the neuropathy of the feet, which deprives us of some of the critical feedback need for delicate balance. Cancer is the best way to die because it gives people the chance to come to terms with their own mortality, the former editor of the British Medical Journal has claimed. Dr Richard Smith, an honorary professor at the University of Warwick, said that a protracted death allowed time to say goodbye to loved ones, listen to favourite pieces or music or poetry and leave final messages. Writing in a blog for the BMJ, Dr Smith admitted that his view was ‘romantic’, but said charities should stop spending billions trying to find a cure for the disease because it was clearly the best option for an ageing population. First, we’re all for that love-morphine-whisky triad, and anything else that helps get the dying through the night. But as for the notion of giving up the search for cures, hell no! On that point, we’re solidly with the Dylan Thomas school of rage, rage, raging against the dying of the light. We do have plenty to say about Big Pharma and profiteering from tragedy, but we passionately believe that the quest to relieve human misery represents all that’s best in us, while insatiable greed reflects the very worst. For years health experts have warned that tumours are driven by a bad diet, lack of exercise, or gene errors passed down from parents. The government even set up its ‘100,000 Genomes Project’ to try and find the genetic causes of many rare diseases and cancers. But now a study has shown that most cancers are primarily caused by bad luck rather than poor lifestyle choices or defective DNA. Researchers found that two thirds of cancers are driven by random mistakes in cell division which are completely outside of our control. They found that the more cells need to divide to stay healthy, the more likely cancer is to develop.